Deep political division today, like in 1860, is driven by fundamental differences in world-views regarding what this country is about. 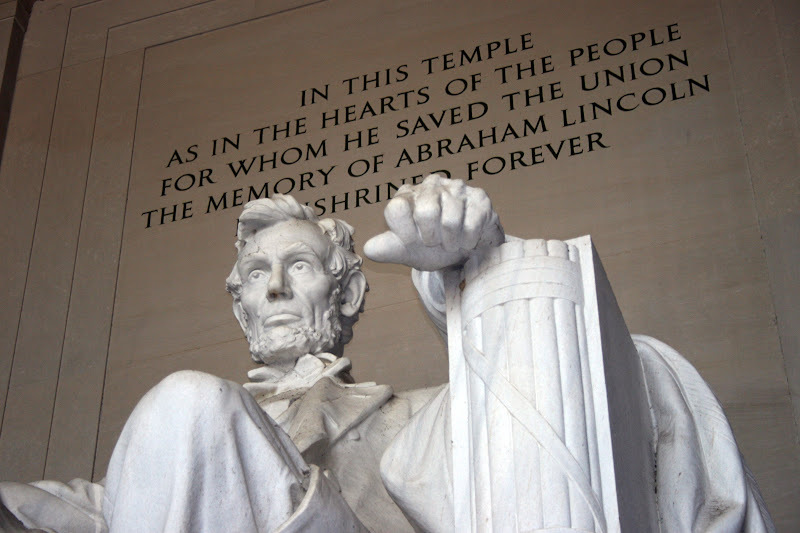 As the season of presidential politics 2012 unfolds, I'm struck by similarities between today and the tumultuous period in our history that led up to the election of Abraham Lincoln and then on to the Civil War. So much so that I'm finding it a little eerie that this year we are observing the 150th anniversary of the outbreak of the Civil War. No, I am certainly not predicting, God forbid, that today's divisions and tensions will lead to brother taking up arms against brother. But profound differences divide us today, as was the case in the 1850's. This deep division is driven, as was the case in the 1850's, by fundamental differences in world-view regarding what this country is about. Then, of course, the question was can a country "conceived in liberty', in Lincoln's words, tolerate slavery. Today the question is can a country "conceived in liberty" tolerate almost half its economy consumed by government, its citizens increasingly submitting to the dictates of bureaucrats, and wanton destruction of its unborn children. It's common to hear that "democracy" is synonymous with freedom. We also commonly hear that questions regarding economic growth are separate and apart from issues tied to morality -- so called "social issues." But Stephen Douglas, who famously debated Abraham Lincoln in 1858, argued both these points. In championing the idea of "popular sovereignty" and the Kansas Nebraska Act, he argued that it made sense for new states to determine by popular vote whether they would permit slavery. By so doing, argued Douglas, the question of slavery would submit to what he saw as the core American institution -- democracy -- and, by handling the issue in this fashion, slavery could be removed as an impediment to growth of the union. The years of the 1850's saw the demise of a major political party -- the Whigs -- and the birth of another -- the Republican Party. And the Democratic Party, in the election of 1860, splintered into two. In a Gallup poll of several weeks ago, 52 percent said that neither political party adequately represents the American people and that we need a third party. Of the 52 percent, 68 percent were Independents, 52 percent Republicans, and 33 percent Democrats. So it's not surprising that the field of Republicans emerging as possible presidential candidates is wide, diverse, and unconventional. But another lesson to be learned from 1860 is that conventional wisdom of establishment pundits is not necessarily reliable. These pundits will explain why the more unconventional stated and potential candidates in the Republican field -- Cain, Palin, or Bachmann -- don't have a chance and why we should expect Romney, Pawlenty, or Huntsman. But emerging victorious on the third ballot at the convention was a gangly country lawyer, whose only previous experience in national office was one term in the US congress, to which he was elected fourteen years earlier. A year or two earlier, no one, except Abraham Lincoln himself, would have expected that he would become president of the United States.